The North Central Regional Planning Commission operates a Weatherization Assistance Program that helps reduce energy costs for low-income households (see maximum income guidelines below) by increasing the energy efficiency of their homes, while ensuring their health and safety. 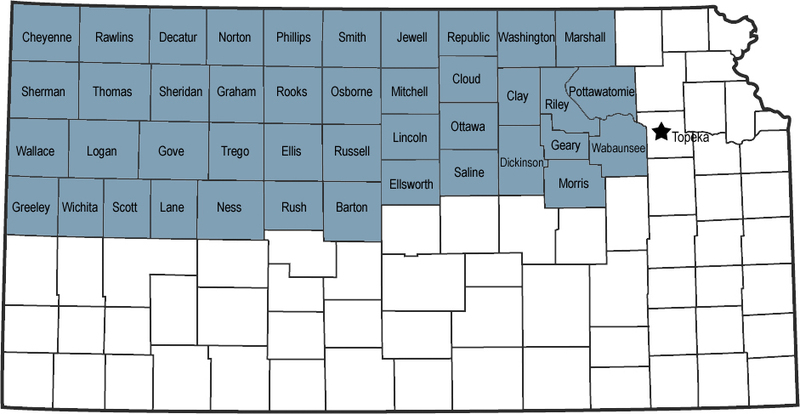 The 42 counties in the NCRPC service area include: Barton, Cheyenne, Clay, Cloud, Decatur, Dickinson, Ellis, Ellsworth, Geary, Gove, Graham, Greeley, Jewell, Lane, Lincoln, Logan, Marshall, Mitchell, Morris, Ness, Norton, Osborne, Ottawa, Phillips, Pottawatomie, Rawlins, Republic, Riley, Rooks, Rush, Russell, Saline, Scott, Sheridan, Sherman, Smith, Thomas, Trego, Wabaunsee, Wallace, Washington, and Wichita. Funding for this program is provided by the Department of Energy (DOE) and the Low Income Energy Assistance Program (LIEAP). Eligibility for the Weatherization Program is based solely on income; verification is required (i.e. paystubs, unemployment, public assistance documents). All weatherization work is done at no cost to the individual resident. If the dwelling is a rental unit, the landlord must sign a landlord release form before any materials will be installed. Homes weatherized since September 30, 1994 are not eligible. A pre-inspection to determine the amount of work necessary to weatherize the home, in addition to checking heating appliances for safety and efficiency. Furnaces found to be unsafe will be repaired, if possible, or replaced. Infiltration work such as patching foundation, caulking and weatherstripping windows and exterior doors; sealing or replacing broken glass. Wall and attic insulation will be considered. This is dependent upon the condition of wiring, roof condition, the amount of existing insulation, type of wall construction and siding. Gable or roof vents will be installed, as required. A final inspection will be conducted to determine if all the work has been completed. To apply for household weatherization, complete the following application or call the NCRPC at (800) 432-0303 to receive an application by mail. Please note that a signature is required on the application. You may either print and mail the completed form or scan and email the completed form with signature. *Form is available in PDF format. You must have a current version of Adobe Acrobat Reader to view PDF files. For a free download, click the icon below.